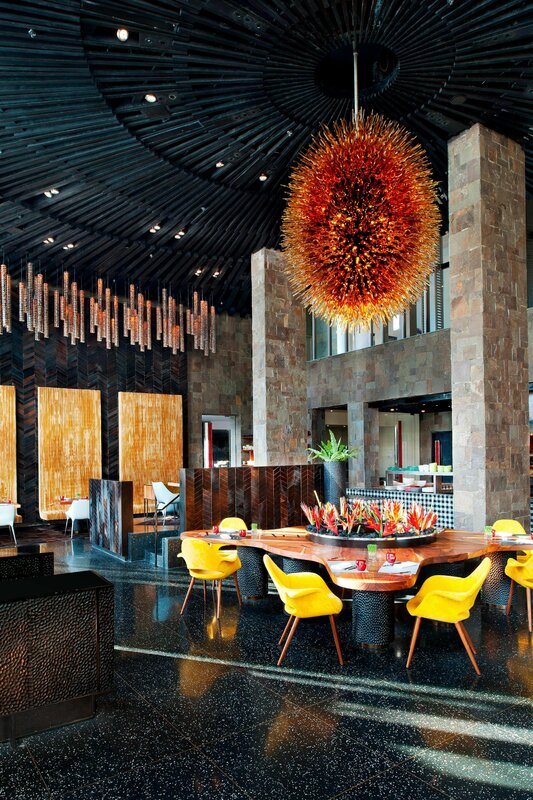 Your culinary journey of the world’s finest flavors starts here, at W Bali – Seminyak’s restaurants, lounges and bars. 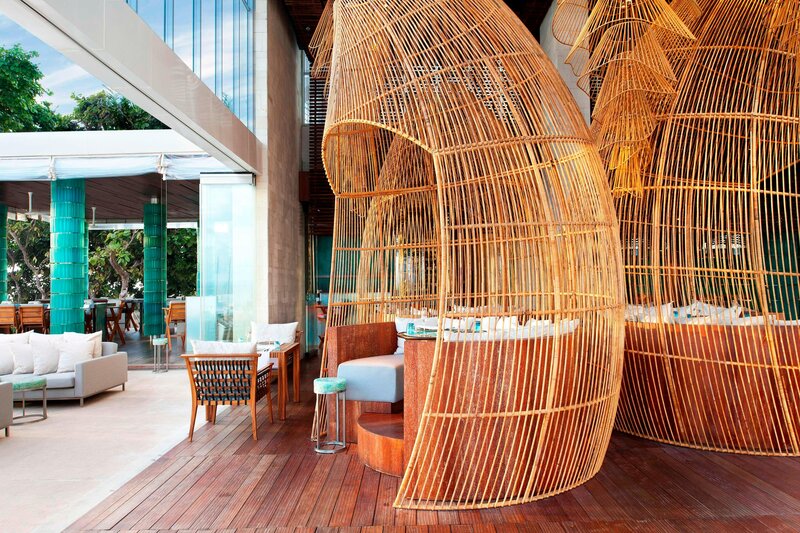 Following on the heels of celebrated chef&apos;s global explorations, taste his experiences at Starfish Bloo where the world&apos;s finest meats, seafood and spices are interpretated in the finest Asian flavors by way of Western sensibilities. Get your heat on at Fire, featuring an open kitchen showcases a wood-fired grill and oven where meats sizzle and gourmet pizzas scintillate their way to your gastronomical heart. Cool down at ICE, where you can chill out with Artisan cheeses, imported and house-made charcuterie, and frozen cocktail confections. At WooBar, there&apos;s a cocktail, wine, beer or any kind of libation to suit every occasion, whether you&apos;re sunning on the Sky Deck overlooking the beach or having fun on the dance floor. Hang out all day at W Lounge, home to sweet beats, cozy chic and sensational scenes with the largest and most colorful collection of martinis, vodkas, single malts and wines in town, and the sweetest collection of Cuban and domestic cigars. Go low-key with 1 Below by designing your very own private event with our Wine Guru and a personal chef. For up to 16 guests in your circle, a stylish space sets the scene for celebrations, dinners, get-togethers and other meaningful occasions. In Cellar, a stellar collection of the world&apos;s finest New World vintages and labels have been curated for exclusive tasting degustations and wine flights in a private setting that can be complemented with menus from Fire. Just because you&apos;re getting too comfy in your room doesn&apos;t mean you don&apos;t get to indulge. Our 24-hour in-room dining services presents a menu featuring the best of our restaurants and customized in-room offerings. Just a buzz brings our epicurean offerings to your doorstep. Fire up the grill-the meating is in session. Featuring the finest selections in best-in-class prime meats and seafood, our fired barbeque is a trail-blazing hot spot that transforms dining into dramatic display of gastronomy. RSVP: fire.03221@whotels.com. Chill out inside or outside Starfish Bloo&apos;s stylish beach side setting, as you journey through an array of the finest local, regional, and international grain-fed meats, seafood and spices in an open kitchen. RSVP: sfb.03221@whotels.com. Soak up the sun. Witness the magical sunset. Dance all night to the beats of international DJs. RSVP: woobar.03221@whotels.com. 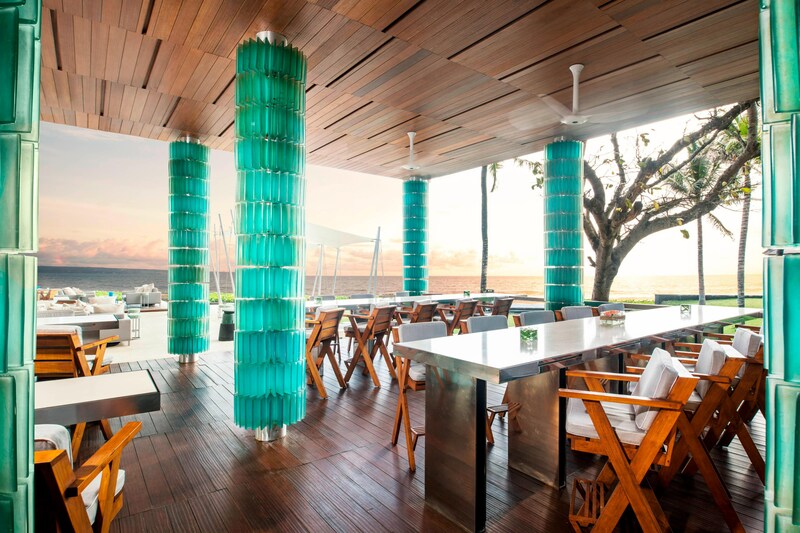 Experience the ultimate , relaxing sunset vantage point – a place to simply enjoy food and drinks in a casual yet elegant atmosphere. RSVP: bf.wbali@whotels.com. 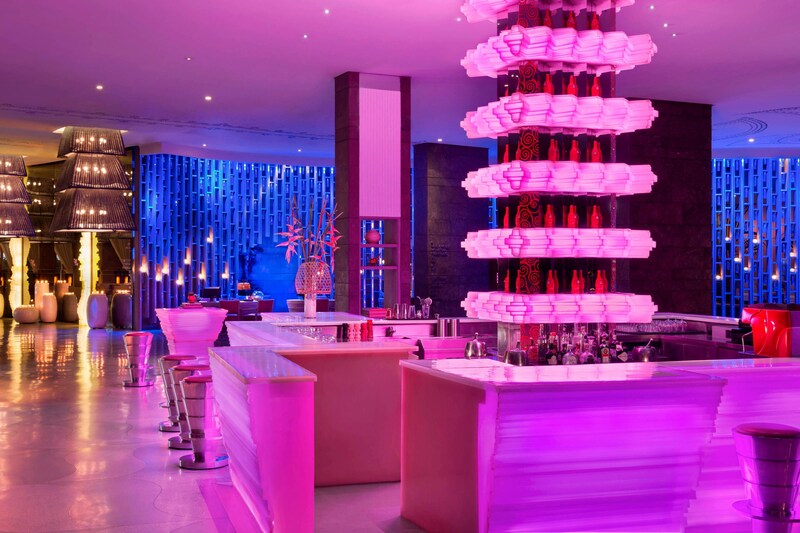 W Lounge is not your average lobby. 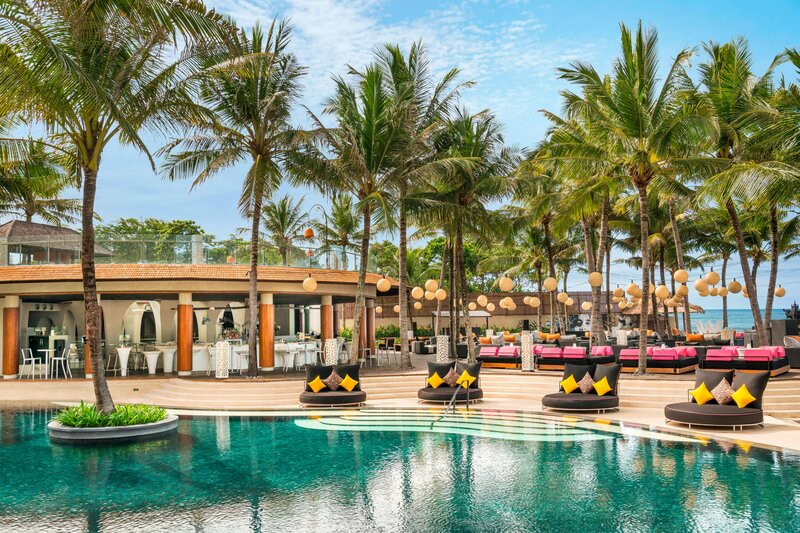 Make an entrance, catch up for an afternoon of high tea in Seminyak or enjoy a cool martini as the bold and the beautiful strut across the room. RSVP: bf.wbali@whotels.com. With an excellent interpretation of classic French cuisines with a Mediterranean twist, the award-winning restaurant combines a classical fine dining concept with lush tropical beauty in an elegant establishment located in the heart of Seminyak. With a distinct pink interior and iconic instagram worthy wall, Kynd Community prides themselves as a plant-based cafe that aims to showcase how wonderful plants can taste. Kynd Community is a vegan cafe that located at buzzing Seminyak. 40 Thieves is Petitenget’s newest late-night watering hole that pays homage to the American traditions of bartending and distillery with custom cocktails consisting of artisanal craft spirits.